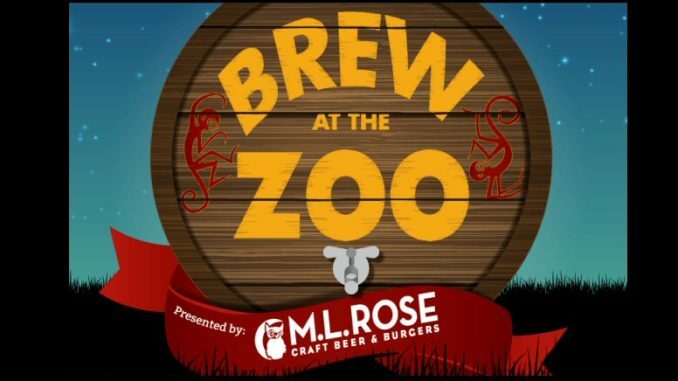 There was plenty to do at the 5th annual Brew at the Zoo that took place June 3, 2016 from 6:30-11pm. On tap were animals, food vendors, music and plenty of brews to peruse. One hundred craft beer vendors were on site providing ample samples. Apple Knocker hard cider, Spiked Seltzer (one of our personal favorites) and a number of wineries also shared their wares at this sold out event. A few corporations participated in Brew at the Zoo including Jive Printworks who left crayons with coloring books on the tables that were scattered about the Zoo grounds. Rain on Friday night did not dampen the spirited atmosphere at this popular and unique event. Plenty of people had already arrived by the opening hour. Upon entering the Nashville Zoo we were given a commemorative sampling glass along with a coupon from ML Rose who was presenting the festival. First we encountered an owl with its caretaker and around the next corner we spotted agile monkeys swinging in the trees. Our first taste came from the Tennessee Brew Works who were featuring beers with a slightly fruity flavor. Plenty of IPA brands such as Hop Manna were represented at Brew at the Zoo. Part of the fun of Brew at the Zoo was the opportunity to see animals such as a flock of pretty pink flamingos. All ticket packages included a half price discount to the Zoo in June. We had an opportunity to chat with a number of the animal’s caretakers who were passionate, expressing concerned for the critters happiness and health. 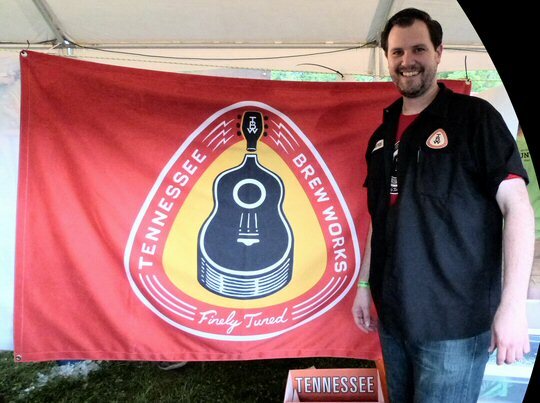 Plenty of regional craft breweries on-hand including Tennessee Brew Works. The Nashville Zoo states that they are committed to conservation which includes field work ranging from protecting local waterways to international efforts. Apparently the Nashville Zoo located at 3777 Nolensville Pike is expanding in the coming months to accommodate elephants and tigers – creating some controversy – thus explaining the dozen or so anti-zoo activists assembled at the front gate. The Beer Garden was the main location for beverages and food but in close proximity were other craft beer vendors. Most had more than one type of brew to sample poured by friendly, knowledgeable staff. For a nominal fee or depending on the type of ticket one had, carousel or zip line rides were available. Live music was also part of the festivities. 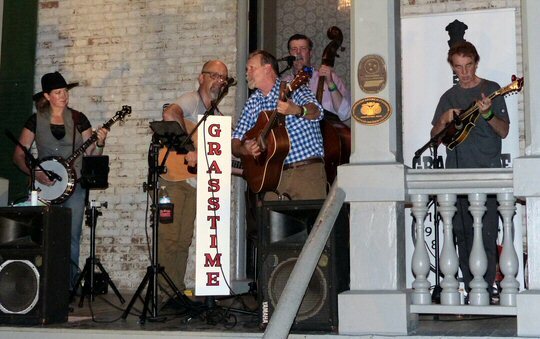 Grasstime Bluegrass appropriately set up on a covered front porch provided foot tapping pickin’ for patrons. They were one of six entertainers at Brew at the Zoo this year. Good people and great animals came together at Brew at the Zoo. At 8:30 pm there was an animal show. The theme was truth or lie rated PG13 where two caretakers stated a “fact” about the critters and the crowd had to determine who was telling the truth. The stars of the night were a porcupine, a snake, a turkey vulture, Pearl the possum, an African serval along with a bird that yelped like a puppy to end the presentation on a raucous note. 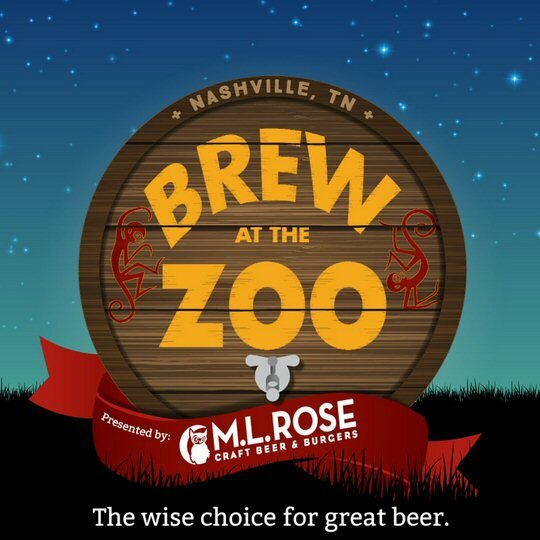 We can see why in 2014 the Nashville Scene voted Brew at the Zoo the best beer event. Despite some showers this fun festival featured animals, local food trucks, music and plenty of brews. It also left us with a positive impression of the Nashville Zoo at Grassmere, which means we will be back in the daytime to visit the wildlife here. The Nashville Zoo also hosts a wide array of specialty events throughout the calendar year so check them out online to plan your visit. There was four stages set-up to provide intoxicating live entertainment.